Y’all today we are going to get personal. As I’m sure you could guess by the title of this post. Actually, good on ya for coming this far. Lord knows you probably thought um, what? when you read that. So yes we’re going to talk about arm pits, and sweat, and stink. Because we’re human beings and that’s what we do best! And by that I mean sweat. Not talking about it. I think B.O. is one of those taboo topics that you don’t talk about. Like when I was in tenth grade and that boy who sat beside me thought that the best approach to under arm conditions was to be natural and free and…well, smelly. But I sat through it day in and day out for a semester, not daring mention said aroma. Especially in the summer. FYI our school was over crowded and not air conditioned. You’re welcome for that visual…errr mental? stink. Anyways in high school I had my own underarm issues, so who was I to judge. Yup there it is. We just got personal. I have anxiety in large groups. Actually mostly in public of any kind. I’m a introvert. I do very well staying in my little house and typing on a computer to the world. The screen is my protection. And FYI I am fully clothed. I’m not one of those people. Point being I used to sweat…a lot. Puddles was my middle name. I was convinced I had a severe medical condition and even went so far as to ask my mother to take me to a doctor to get checked out. She told me no and to get over myself. But she did tell me that sweating was normal and that I shouldn’t be so self conscious. So I figured I was medically doomed and had anxiety in public places and I went about my life. And then one day I decided that I didn’t want to buy deodorant anymore. Hardly the conclusion you were suspecting to this story I’m sure. I spent hours in my teenage years down the deodorant aisle of the pharmacy. I bought the most heavy duty antiperspirant you could buy, but to no avail. The heavier the deodorant the heavier I would sweat. One would really think that my brain would click into what my bod was trying to tell me, but alas I can be blind to my own body at times. Did you know that antiperspirant completely clogs your lympth nodes? And that this is a vital way for your body to push toxins out of your body? If they are clogged they can’t get bad things out, which means that bad things stay in and fester and cause sickness and well, stink. I’m not going to go into the full details of antiperspirant and the damages it can have on the body. There are arguments on both sides about whether it is safe or not, so please feel free to do your own research. But here’s my thinking. Store bought deodorant is full of chemicals. I can make my own deodorant that 1) works better than any deodorant I have ever bought 2) costs me pennies and 3) I know what’s in it. That’s enough for me. 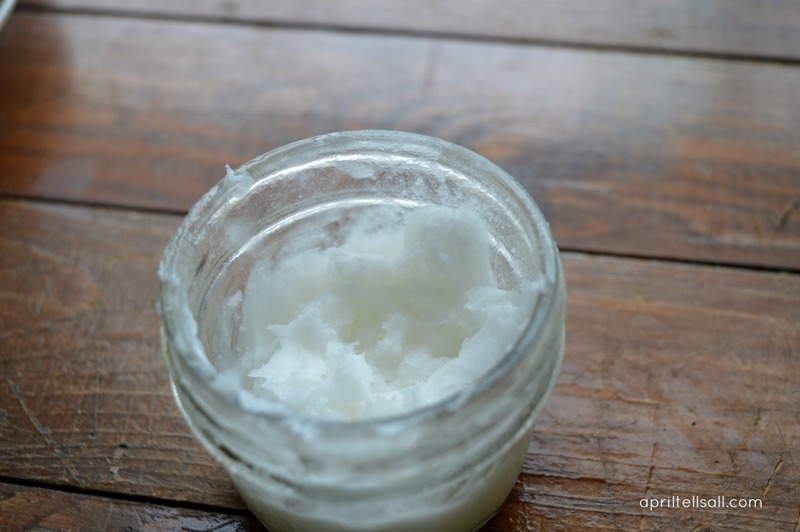 In a small jar combine everything together (you can heat the coconut oil if it’s too hard). Mix well. I mix mine until it gets kinda of fluffy. You can add more baking soda or oil to get it to the consistency that you want. If you have sensitive skin you can skip the baking soda and use 1 tablespoon of bentonite clay and 1 tablespoon of arrowroot powder in place of it. 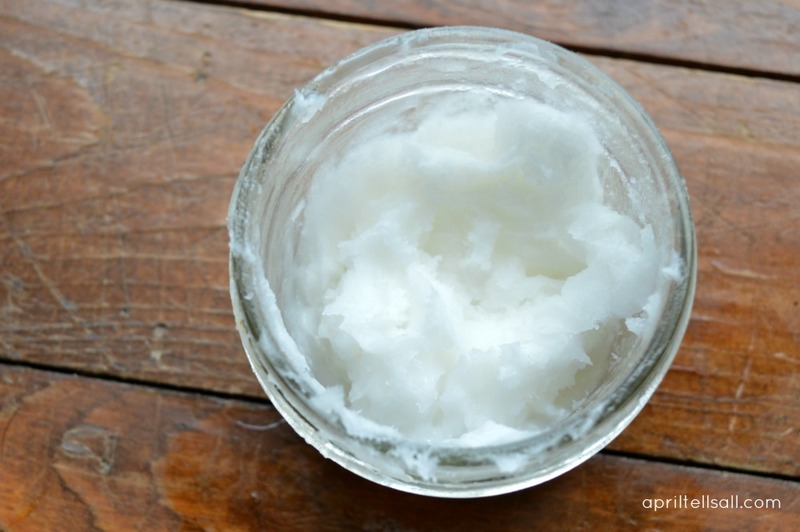 You can use shea butter in place of coconut oil (although I have not personally used it). I store it in a mason jar and just use my fingers to apply. It has never stained any of my shirts. 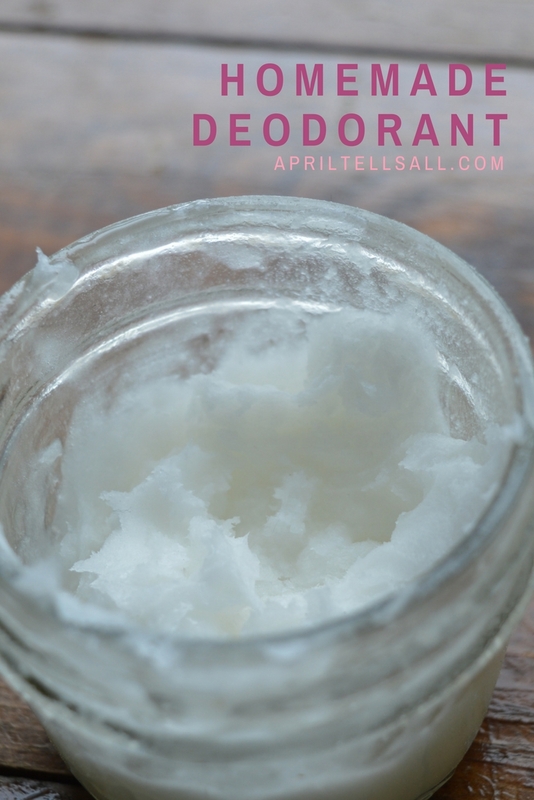 It wasn’t until I started using homemade deodorant that my under arm condition eased. The really bad sweating stopped. The smell stopped. A few weeks ago I was out of baking soda and just swiped on some store bought under those arms of mine. By mid-afternoon I was a sweaty stinky mess, and was cursing myself for not being on the up and up with my pantry supplies. So there it is. In all it’s hippie recipe glory. Use it. It’s amazing. If you’re still thinking who does this? kudos to you for reading this far. Make your own Homemade Laundry Soap for Less!